Hay! here is the list of Best Earphones Under 2000 INR, Headphones here, are of top brands too! so you don’t have to be worried about brands. Also get our opinions and suggestions for them. When we say about Best Earphones or Headphones that means which are value for money, and priced under under 2000 INR. But Prices can fluctuate so please be fine with that. Earphones Nowadays are really value for money, I remember back in the days when Earphones were priced much higher and they just so so sound quality but now the value for money has literally increased, Even with Price as less as 600 INR now comes a quite nice Earphone with atleast good bass. Sony MDR-XB55 Extra-Bass in-Ear Headphones- I have to say this is one of the best budget headphones out there it has unique bass which I am fan off. It has the Extra Bass Technology with a tube like bass booster which gives the intensity of deep bass, it has a 12 mm neodymium which creates powerful, balanced sound in detail and peace. It has a glossy yet metallic design with a best build quality and A durable, Tangle free flat cable which reduces tangling. 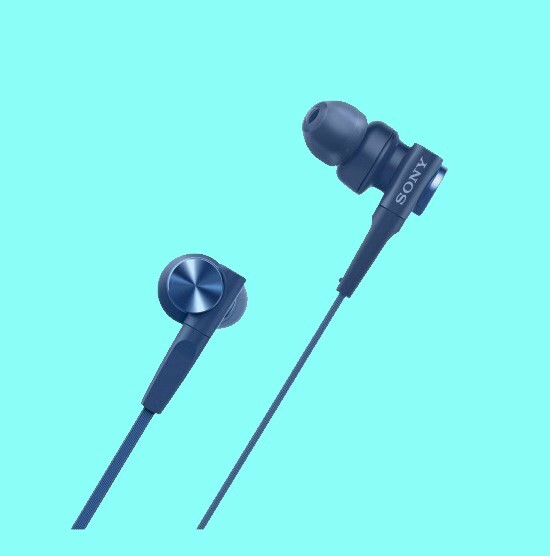 You can also Take hands-free calls and switch tracks without touching your smartphone, but this option is available if you spent 600 INR more and get Sony MDR-XB55AP Buy it here. They both comes with a soft and silky carry pouch with it keep them save from dust and dirt. Bulky in size- Don’t get me wrong they just looks a bit bulky they doesn’t feel much that you have a big earphone in you Ear. It has a beautiful design overcomes that bulkiness. Overall you’ll love these pair of headphones, you can buy it they are not that expensive. They has a nice looking design too which sort of over comes their bulkiness. Sennheiser CX 275 S- I have used these headphones too they also had a good bass and a peaceful sound but if I have to compare it with the Sony ones I would say this CX 275 S lacks cord quality. high-powered dynamic speaker systems provides for an excellent audio performance, they deliver crystal clear audio with enhanced bass due to an extensive high frequency, It has Full control is also achieved with the in-line microphone and remote for the easy management of calls and tracks. The Sennheiser CX 275s headphone is compatible with all smartphone and tablet.It also comes with a leather type carrying pouch which keeps it save from dust and dirt. Build Quality- This could be nitpicking but they look a bit plasticy, if you compare it with Sony MDR 55 or 55AP they suddenly a good built quality than this one, it does not have flat cable which kinda nice In my Opinion. No L-shaped Pug- It has straight 3.5 mm plug which is actually a not good for long run. Overall you’ll like these pair of headphones, you can buy it they are not that expensive. They has a nice looking design too. And I am sure you will not have any problems with sound quality and performance, It has peaceful sound and a excellent bass. Sennheiser CX 180 Street II- Over all they are super nice, and yes I am not lying I have used these one also this actually my first earphones that I bought separately. They are very comfortable and small with sober looks they have Powerful, bass-driven stereo sound technology that gives impressive and deep bass. It properly reduces the peripheral noise to ensure that there is no interference of external noises. This earphone is one of the cheapest in this list they are really value for money. Mic- It is useful for calls and other recordings but sadly Sennheiser CX 180 does not have a mic. Flat cable/cord- Flat cable is good and reduces tangling of cords. If you have a tight budget these could be the one for you, they have a nice effective bass and Design with L-shaped 3.5 mm Plug. House of Marley Smile Jamaica EM-JE041-SB- These in Ear Headphones by House of Marley deliver precise and powerful sound for an exceptional listening experience. It Provides Music with much energy, emotion, inflection, nuance and attitude as the original performance. They have amazing sound quality with a moving coil drivers that delivers the music with Deep bass. It Makes sure you get every highs and lows in music with sharp precision. It has a luxur look to its Cords with Fibric covered on them, and a pure wooden design on rear housing with this it look alot classic and it really standout. They also have a Tangle free type cord with Fabric design. It also comes with Mic integration which allows you pick and end calls. These are awesome, with its design and sound quality they have a nice effective bass and Design with L-shaped 3.5 mm Gold Plated pin. JBL T160- These Headphones feels very compact with sleek looks and delivers the best bass output in its segment with Superior Sound supply. They have tangle-free flat cable which is lightweight and also features user-friendly controls, you will have good listening experience even for longer period of time. It also has Noise isolation Microphone which enables you to answer and manage your calls easily. JBL T160 is Compatible With Android and iOS devices (Mobile, Tablet, Laptop & Audio Player) all functions are Powered by The Gold Plated 3.5mm jack, which also ensures better Signal availability from your handheld device. These are very Compact Headphones with its design and enhanced sound quality they have a nice effective bass with 3.5 mm Gold Plated Plug and a Noise Isolation Microphone. Mi Earphones with Mic- Mi has also started their business in Mobile accessories like Earphones, Now these Earphones by is actually a value for money product. It has a nice built quality with Metallic design, Now talking about it sound it has High quality sound with Dynamic Bass system. It also has built in Microphones which allows you take calls. These aren’t Bulky, it has three Remote Buttons for using it with an ease. It has L-shaped 3.5mm jack which let you to use it longer. No Flat cable/cord- Flat cable is good and reduces tangling of cords. Less Warranty- Mi just Provide 6 months warranty which is actually half the warranties that other companies provide. These are Nice Headphones with Metallic design and enhanced sound quality with Dynamic Bass System. It also has a Mic with three Remote buttons. So we can conclude they are good for the Price you are paying. Note: Headphones/Earphones listed here are the best in their price segment they are the value for money products.